Explore how maps provided men and women, ranging from presidents to schoolgirls, with a formidable interactive medium for imagining life in America. Join Martin Brückner, a professor in the Department of English and co-director of the Center for Material Culture Studies, to discuss the rise of American maps as a much-overlooked media event. 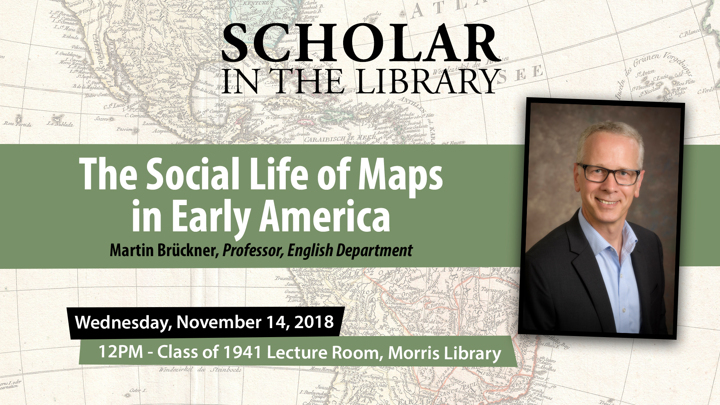 Drawing on his recent book, The Social Life of Maps in America, 1750-1860, Brückner will focus on super-sized wall maps and their attending material culture of production and consumption during colonial and early national times.